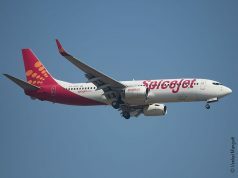 CHENNAI: Budget carrier SpiceJet has increased its frequency on the Chennai-Hyderabad route for the summer season. 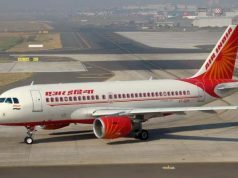 The airliner has added the fourth non-stop flight on the said route, which will be operational from April 17 onwards except Saturdays, SpiceJet said in a statement. 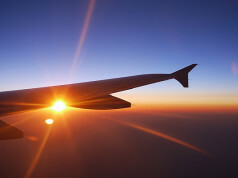 With the introduction of the summer schedule, the airliner will increase its operations to 306 daily flights from 240 last summer season. “We would like to thank our customers for their continuous support in helping us achieve the highest load factor consistently for the past 10 months,” SpiceJet Senior Vice-President, Commercial, Shilpa Bhatia said. SpiceJet is an Indian low-cost airline headquartered in Gurgaon. It is the fourth largest airline in India by number of passengers carried, with market share of 13.2% as of January 2016. 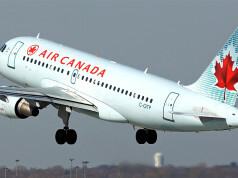 The airline operates 293 daily flights to 40 destinations, including 34 Indian and 6 international destinations with a fleet of Boeing 737 and Bombardier Dash aircraft. SpiceJet offers only economy class seating accommodating 186 passengers per aircraft. To keep fares low, SpiceJet does not provide complimentary meals in any of its flights, though it does have a buy-on board in-flight meal programme. SpiceJet does not operate any frequent-flyer programme and do not provide any in-flight entertainment options. The airline offers premium services under the name Spice Add-ons, where the passengers can avail additional benefits like a pre-assigned seat, priority baggage handling and priority check-in at a higher fare. After completing 5 years of flying, SpiceJet was allowed to commence international flights by Directorate General of Civil Aviation on 7 September 2010. 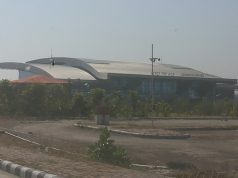 SpiceJet launched flights from Delhi to Kathmandu and Chennai to Colombo and the first international flight took off on 7 October 2010 from Delhi. 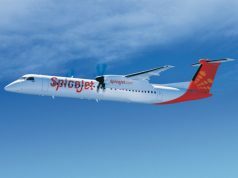 In April 2011, SpiceJet announced that Rajiv Gandhi International Airport, Hyderabad as the primary base for its new fleet of Bombardier Q400 aircraft.